Is your bathroom looking tired and drab? Are you looking for ways to spruce it up and take it to the next level? Here are some tips to inspire you to create the perfect bathroom in your home that looks like something out of a 5-star hotel, without having to break the bank in the process. One thing that can make your bathroom stand out and look upscale is the color scheme and décor that you use in the room. You will want to choose bold and clean lines, using neutral colours and contrasting accents to make the room pop and look fantastic. You will need to think about the colour of the tiles, the floor, the ceiling, and also the walls if you have areas that you are going to paint. There are many quality fittings for your bathroom that can help to create an upscale feel to your room and make it an inviting space to be. You can add a free-standing bath, or a top-quality shower, or even a bidet. You can check out an Aqualisa digital shower which will make showering each morning a thing that you look forward to doing! The lighting in the bathroom is something that is often overlooked, with very little thought going into the type of lighting, and the positioning. The truth is that the lighting in a room can have a dramatic effect, so it is something that you should give plenty of thought to when looking to transform your bathroom. If you have any artwork of decorative pieces in your bathroom, choosing LED spotlights can be an excellent addition to highlight these pieces and creating a welcoming atmosphere. It is essential to ensure that you create a practical lighting plan for your bathroom that is going to give you light where you need it, but also highlight the focal areas of the room which will be pleasing on the eye. You will need to ensure that you have enough storage space in your bathroom to make sure that you can help to keep it clutter free. You can have storage space underneath your sink or add shelves or cupboards to the walls which will give you ample storage space and ensure that there is a place for everything, and everything is in its place. 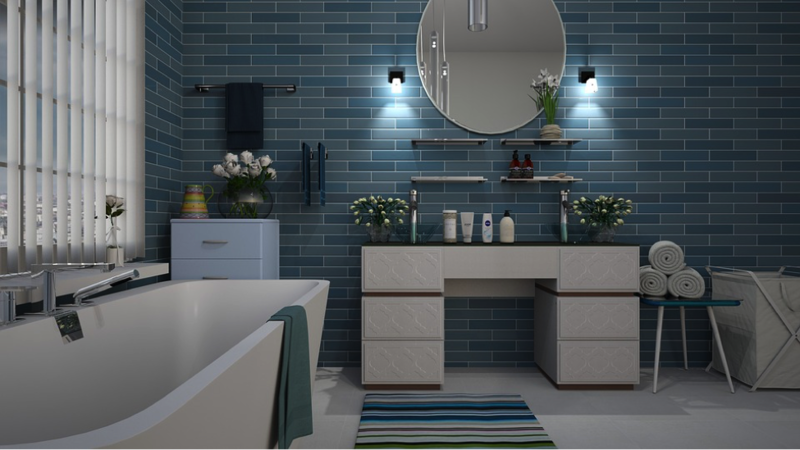 A tidy bathroom is much more upscale and appealing than one that is full of clutter. When you add decorative items to your bathroom, it also adds to the atmosphere of the room and can help to create an upscale bathroom that looks like it is in a luxury resort. You can add artwork including pictures and painting, or even ornaments, although it is essential to choose pieces which are not going to be damaged by the humidity in the room. Another welcome addition is adding plants and flowers to the room, and you can either choose living plants or artificial ones. If you have living plants in your bathroom, ensure that they are going to be able to survive in a warm and humid environment. There are lots of things that you can do in your bathroom to create a room of luxury in your home. Your only limitations are that of your budget, as well as your taste, and you can get some excellent ideas online.